We have three new yarns from Lana Grossa. Here is a link to some free patterns using Big & Easy. On the left is Condito, on the right is Vivo and Vivo Print. Here is a close-up of the Vivo. It spreads out as you knit. Also from Lana Grossa is Rete. You can find some patterns over here. Condito sells for $34, Vivo is $11.95, and Rete $9.50. For you knitters of purses, we’ve got some new handles from Muench Yarns. Very pretty. On the left is Filati Pocket. It’s got lots of great summer knits. On the right are three books from Noro. Two Mini Knits and World of Nature. You have to come in and look through all the great patterns. They are so inspiring. 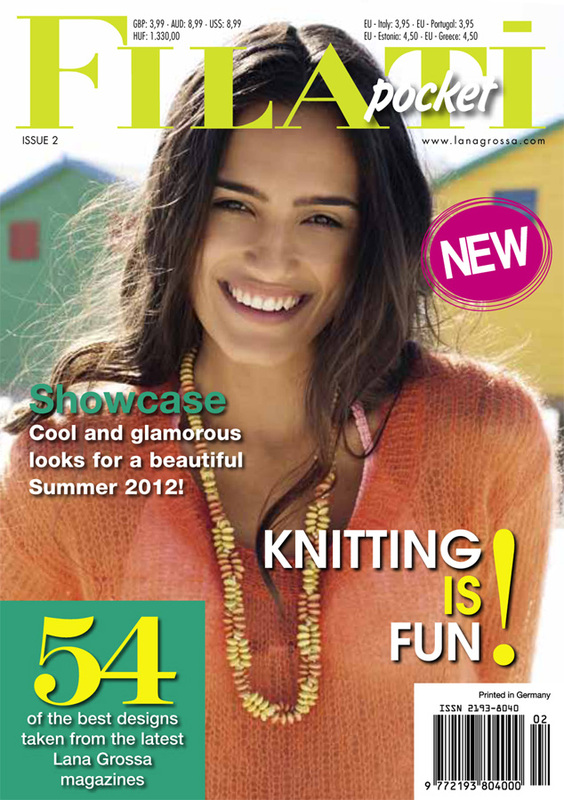 We also have lots of copies of the latest edition of Knit’n Style Magazine. And now for some finished objects. Cindy works it in her finished vest. Jane claims she’s gonna finish this fish. Let’s see how long it takes her. Looks good. We have a great Webmaster!